A large hoarding down near Morden Station advertised a series of articles in a newspaper, the Daily Express I think. Searchlights lit a sky, red from burning buildings, aircraft dropped bombs, guns blazed, ‘The War in the Air’. It gave me bad dreams and was, I suppose, my first inkling that war might come. All at about the same time were our move from Middleton Road to St Helier Avenue, my start at Mitcham County School and the outbreak of war. We all listened to Chamberlain on the wireless and soon afterwards the air raid sirens sounded but then life went on much as before. The new house had an extra bedroom, which was the reason for the move. It was a corner house again and the front garden was big enough to accommodate an Anderson shelter. We only had the hole for one before but here the corrugated iron structure with its tunnel roof was in place and covered with a good layer of soil. I started my new school with misgivings as I knew no-one there. I walked to school, through Ravensbury Park and across Mitcham Cricket Green, all this with a small attaché case for my gas mask, books and sports gear. At this stage there were no air raids but we had frequent air raid drills at school to practice getting into the surface brick shelters. 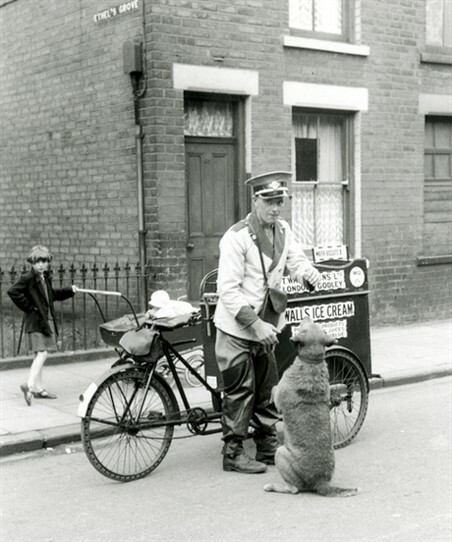 There was a blackout every night and at home we had some wooden frames covered with black paper to put up to the windows; a chink of light and the Air Raid Warden called, just like Mr Hodges in ‘Dad’s Army’. From this time on, my father was absent on war work, building airfields and munition factories. It was in August 1940 that our war really began. 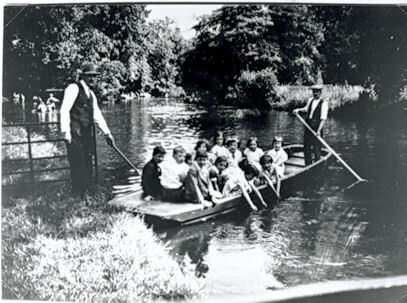 Twelve years old, I was in Ravensbury Park during the school holidays on a hot summer day, in the middle of the big field playing chasing games with friends. No siren had sounded but suddenly the sky above was full of wheeling fighter aircraft, the sound of machine-gun fire and the more distant thump of exploding bombs from the Croydon direction. This went on for a few minutes – then, just as suddenly, it stopped and all was silence. We raced home as fast as we could. The Battle of Britain had started. After that we had fairly frequent daytime raids and took to our shelter each time the siren sounded. Generally we just heard aircraft and distant bombs and gunfire. Once, however, just as the siren sounded, a large number of bombers in box formation appeared almost overhead and I felt really scared. It was mainly a summer of fine sunny weather and each day the vapour trails filled the sky. We followed the news day by day on the ‘wireless’ to hear how many planes had been shot down. The night raids started in the September. The sirens would go, we would take to the shelter with bedding and we would wait an hour or so for the raid to begin. A mobile anti-aircraft gun patrolled St Helier Avenue and the sound as the gun fired could be deafening, especially when it was right outside. The air would be full of the throbbing drone of bomber engines high in the air and there would be the crump and sounds of bombs exploding. This would go on until after midnight and then there would be a lull that left you wondering if it was all over or not. The ‘all clear’ never went until it was nearly dawn although activity had ceased for some hours. You slept. In the morning you crept back into the house and waited for news of who had been hit. Boys roamed the streets looking for bomb splinters and shrapnel from the anti-aircraft shells. Sometimes you could find bullet cases from fighter machine guns, sometimes a 20mm cannon shell case. This went on night after night without break. In the end you didn’t wait for the siren but went to the shelter just as you would normally go to bed. Some folk, more scared than others, travelled every night on the Underground to one of the deep stations like Leicester Square or Covent Garden to sleep on the platform all night. Our Anderson shelter was quite cosy. Two bunks made of planks ran down each side. I slept underneath to the right of the entrance, my older sister above me. My younger sister was down below on the other side with Mum on top. At the other end were our neighbours from round the corner. She was a young mother with a little baby who slept at my feet and who would kick me with her legs for fun. Her husband was in the ARP in Battersea and on the nights that he was not on duty he might be in the shelter too. But more often he was out, prowling around in the dark, keeping an eye on things. One night he came back to tell us that the funny fizzing sounds nearby had been incendiary bombs but that they had been put out; he had put them out. Fortunately there were few day raids at this time. You went about your daily business as best you could. I went to school at Mitcham as usual but it was difficult to do your schoolwork after a sleepless night. One day I was called out to take my turn reading from Dickens’ Christmas Carol. I was unwell with a bad cold and I was desperately tired. As I read, I heard a snigger and then, as I read on, laughter engulfed the class. Every time I came to the name ‘Bob Cratchit’ I was saying ‘Bob Scratch it’. The bombing got worse and the war was not going our way. You could imagine defeat and Nazi soldiers in the streets. When the docks were bombed, the fires were still visible in the morning sky; they burned all day and into the next night, lighting the way for the new attacks. For us the bombing went on almost every night from September until we left. Mum got very upset by the continual bombardment. One night a stick of bombs fell nearby; you could hear the ‘swish’ as they came over. The shelter rocked as they exploded and dust fell through the cracks in the shelter roof. The man next door was with us that night and he put on his helmet and went outside. It was some time before he returned. The first of the stick had landed just across St Helier Avenue demolishing most of a house. The others fell further on demolishing houses and killing some people. We had broken windows, and Mum shattered nerves. 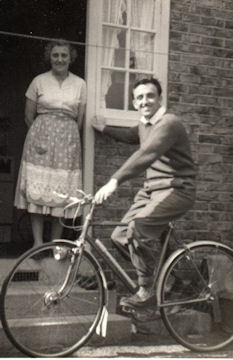 We spent Christmas 1940 in north Lincolnshire with distant relations who had invited most of the London family for a quiet rest from the bombing. My mother decided to move there and so ended my time on the St Helier Estate. What I have written about the bombing is just from memory; it was years ago and I never kept a diary. Throughout the war HMSO published books about aspects of the fighting. 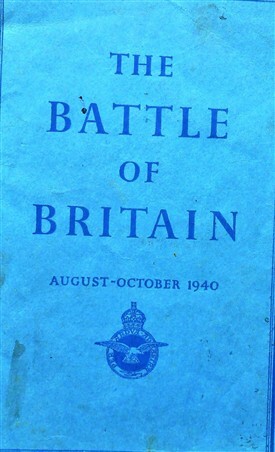 I still have a war-stained copy of ‘The Battle of Britain’ published in 1941. Another of them, ‘Front Line’, the story of the Civil Defence services, contains dates of the start of the bombing. The day in the park when Croydon was bombed appears to have been August 15th 1940. The Luftwaffe was trying to destroy our fighter aircraft and for several days carried out raids on the aerodromes of southern England. The day that I saw the daylight bomber formation was possibly September 7th when a big daylight raid occurred and many bombers got through the defences. They bombed the docks and continued again that night. After October the day raids did not penetrate as far as the city. Night time bombing began in September and from 7th September until 2nd November there were bombs dropped on London every night. After that there were raids of some sort nearly every night but one went down the shelters as a matter of course to sleep. It wasn’t until the following May that regular bombings ceased. This page was added by Ken Whiteman on 27/07/2018.